Interval running is the number one thing to do if you want to see fat loss from your cardio workouts. 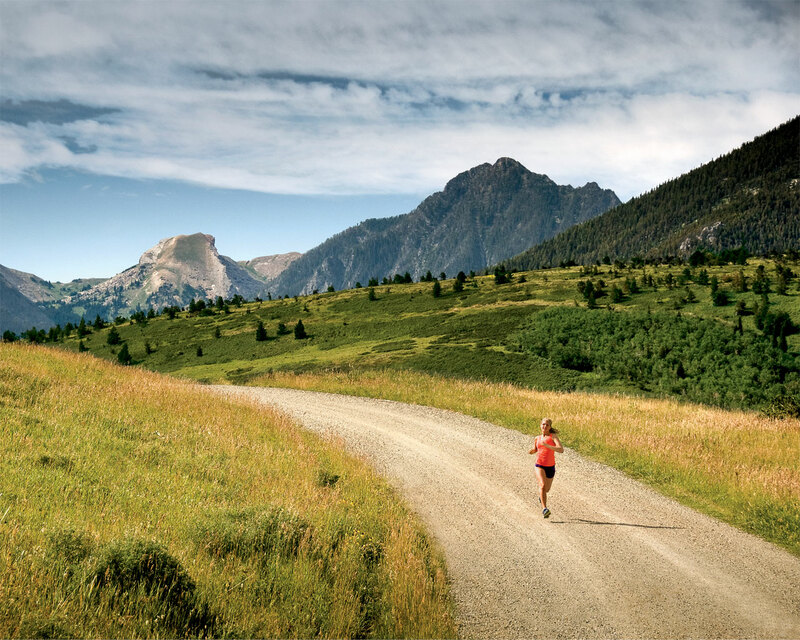 Intervals can dramatically reduce the time you need to spend running. In less than 15 minutes I now accomplish more than when I used to run on the treadmill for 60+ minutes. I pulled this chart straight from the best kinesiology university class ever: Physiology of Exercise Training Prescriptions – thank you Dr. Don Patterson! I try to do one longish run (45 minutes), one High Intensity Interval Training (HIIT) run and one Super High Intensity Interval Training (SHIIT) run every week. Here’s the thing … intervals are not easy. In 15 minutes you should basically want to die. There is no talking, it’s focused intense work. Intervals aren’t just a shorter continuous run, they are ramped up. Below I’ll share two examples of my interval workouts to give you an idea so you can set your own interval speeds. Typically I do one long run per week – usually outside – but if I’m inside I usually pace it out around 7.0-7.5 for 45 minutes. My HIIT workouts begin with a 5-10 minute warm up with some dynamic stretching and then I’m off to the races! My SHIIT workouts scare people in the gym around me! I warm up for 10 minutes and do dynamic stretches. Then I hop back on and ramp up the treadmill – it should sound like it’s taking off on a runway. CAUTION: don’t just hop on the treadmill at super high speeds, stroke and hover over the belt for 3-5 seconds before you get going. This will be better on your joints and you will be a lot more likely to stay on! – The treadmill takes awhile to get up to the speed – so when you’re doing SHIITs inside you will have to come off and rest completely. Don’t try to reset your speed to a jog for your rest because it will take too much time getting there. If you’re outside you can walk or light jog for your rest phases. It took me a long time to go this fast. If you’re new to interval running play around with your speeds. These also aren’t the only interval workouts that I do – I always mix it up, 3 minutes, 4 mintues, 45 seconds etc. Most people I train start off around a 7.0-8.0 on their HIIT intervals and 3.5-5.0 for their rests. Their SHIITS are around 8.5-10.0 for 30 seconds. Oscillation: This is what happens inside your body when you’re on your rest phase of the interval. After you finish your hard phase your body comes down to a rest but your heart is still beating very quickly and you’re still sweating and red in the face, those are indicators that your body is still working at a quick rate and it hasn’t caught up to the fact that you’re on a break. Essentially you’re tricking yourself into thinking that you’re running at top speed for the entire workout when really you’re only doing so for less than half of the time. Excess Post-Exercise Oxygen Consumption (EPOC): After you finish a 30 minute jog you hop off and your body can essentially shut down and return to normal – you haven’t shocked it into change. After an interval workout you will notice that you’re hot and usually sweat more after you’re done – that’s EPOC. To put it simply the EPOC means you’ll keep burning fat at an increased rate after an interval workout as your body tries to erase the “oxygen debt.” This increased rate of oxygen intake following intense interval training is what’s going to have your body burning fat for more than 30 hours following these workouts. You’ll be burning more calories while you sit, sleep, etc. So give it a go! You will notice a huge difference in your normal running speed and see a difference in those skinny jeans!